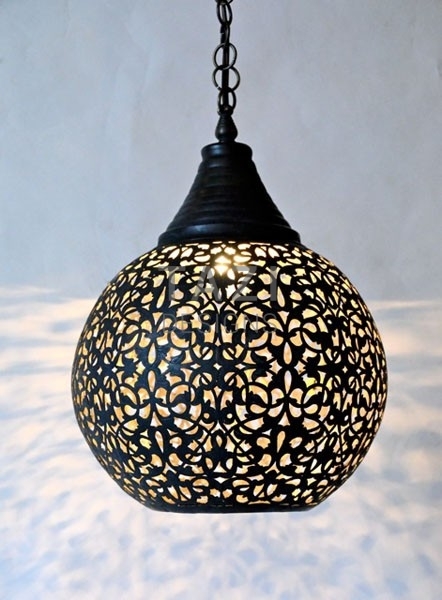 This spherical Moroccan pendant lamp in hand-cut Moorish pattern is handmade in Morocco by skilled artisans. 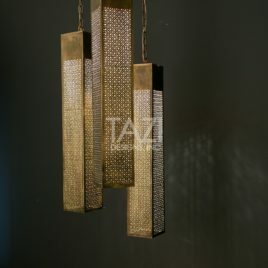 This brass pendant lamp looks great as a single hanging lantern or in a row lined up over a kitchen or bar counter. 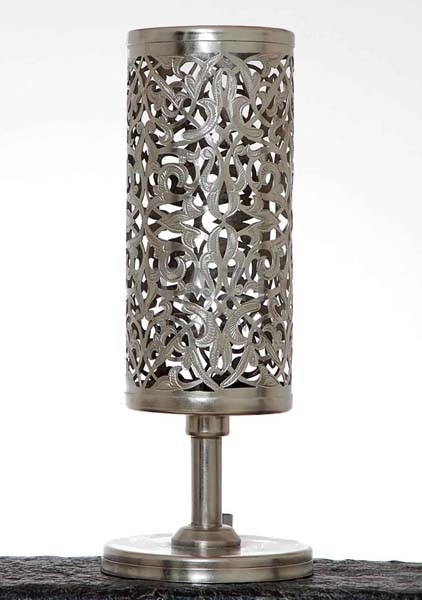 The round opening at the bottom provides directional light. 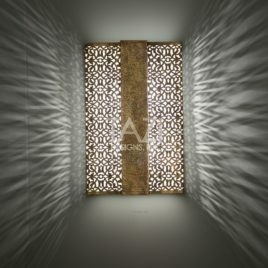 You may also use these Moroccan lanterns to create a cluster drop at different lengths. 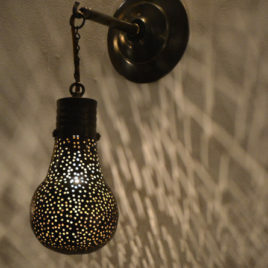 Material: brass in a hand-rubbed dark bronze finish. Alternate finishes gold and silver-plated finishes also available upon request. 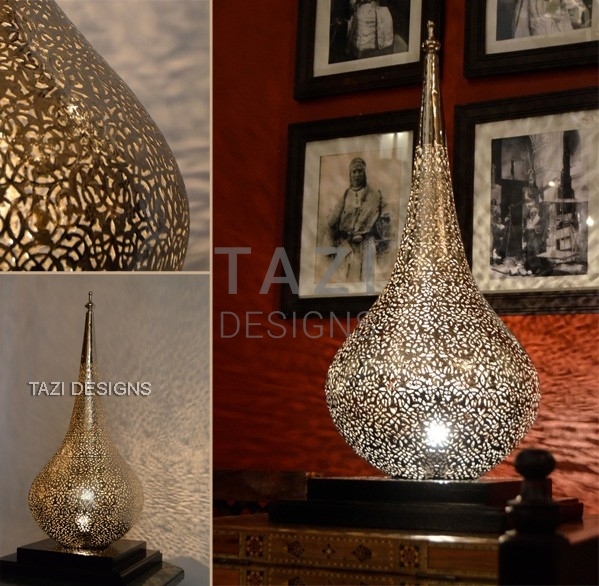 This lamp comes with 3 foot of chain and matching canopy/ceiling plate. 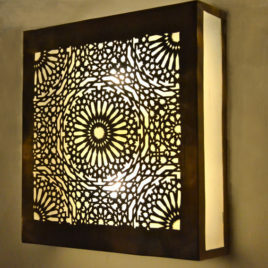 This contemporary style wall sconce light is delightful!